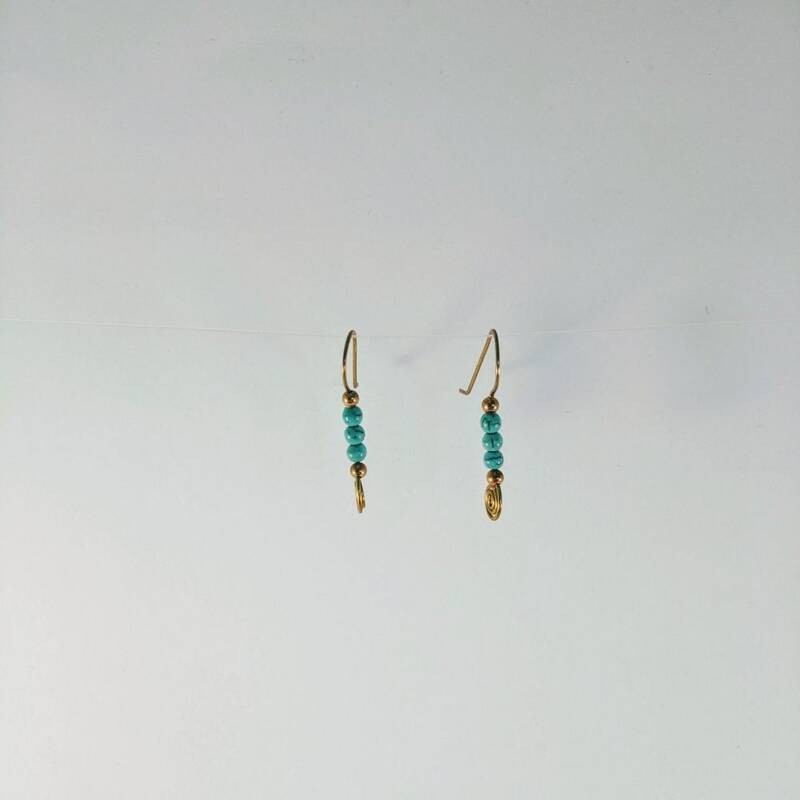 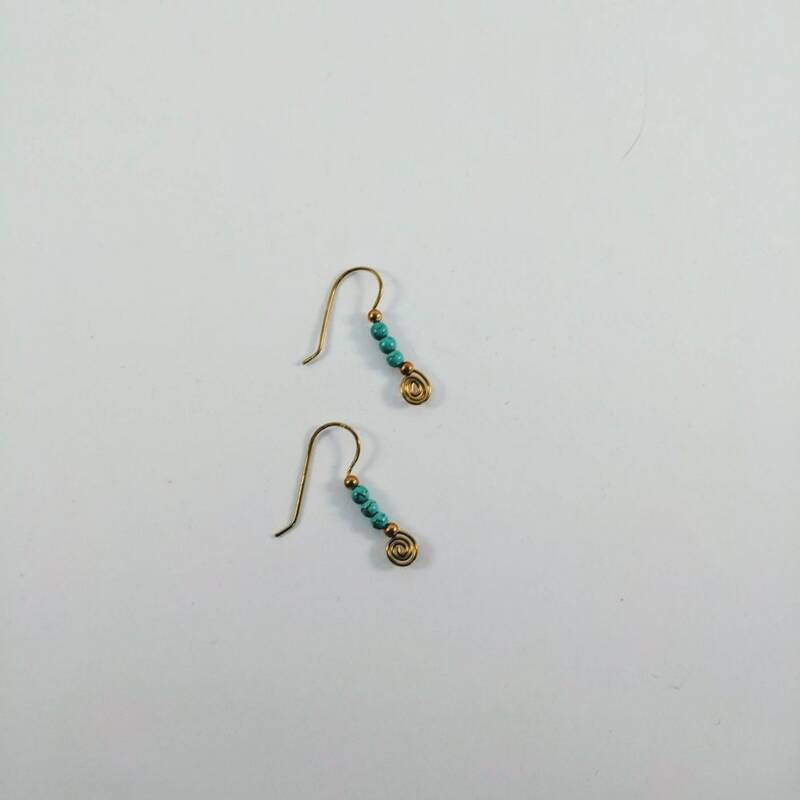 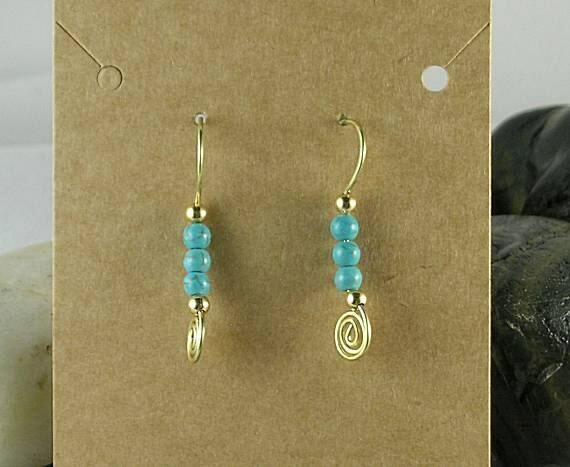 These earring are made with a handmade sacred spiral head pin that has 2 metal beads and 3 turquoise beads stacked on top of the spiral and then the wire is bent into an ear wire hook. 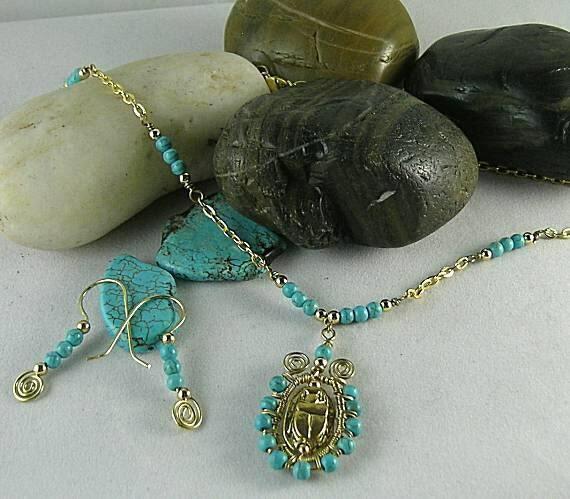 An original All-in-One design. 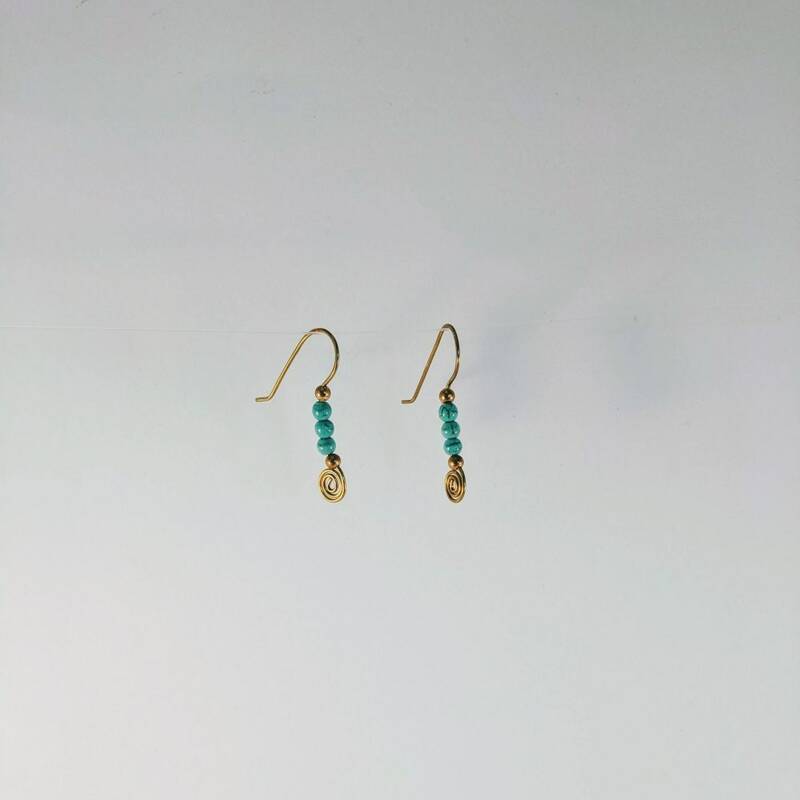 These are great as a stand-alone accessory and will look spectacular with the matching Egyptian Scarab necklace (last pic) which is listed separately.